Arizona is a state known for its year-round sunshine and arid desert climate. When selecting flowers for many areas of Arizona, especially the desert regions, drought-tolerant flowers are a wise choice. Colorful flowers come to Arizona landscapes through cactus, ground covers, shrubs and trees. Cactus may be prickly and appear ominous with their spine covered limbs, yet many of these thorny plants produce spectacular flowers. 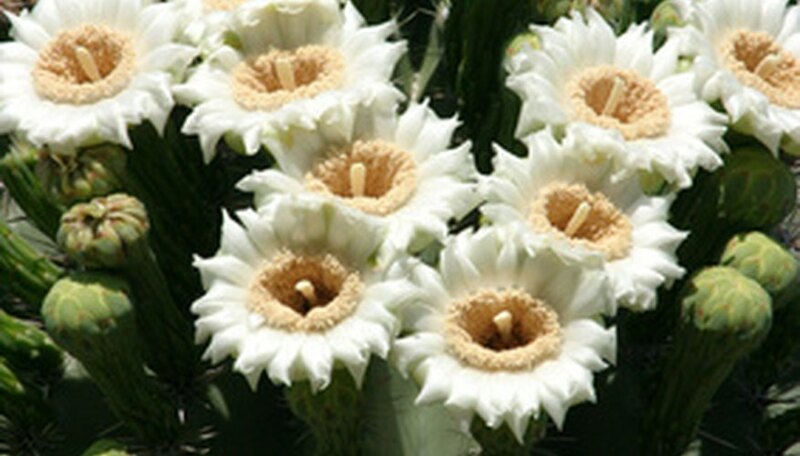 The showy white flower of the saguaro cactus, also Arizona’s state flower, blooms in late spring. 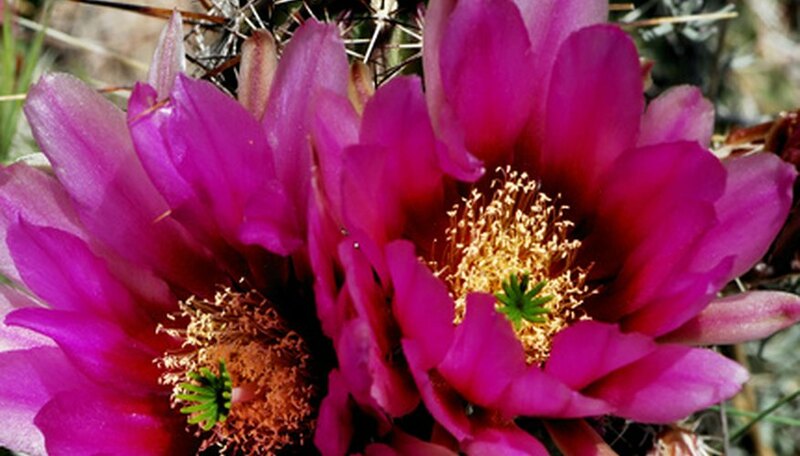 Flowering cactus that thrive in Arizona include the golden barrel, Engelmann's hedgehog and the beavertail prickly pear with its impressive dark pink flowers. The white flower of the Hildmann's cereus blooms at the night, rather than during daylight. Flowering trees grow in Arizona, and like the cactus, many have thorns. The blue palo verde displays a brilliant burst of yellow flowers during the spring and has small thorns. For a thornless tree with trumpet-shaped flowers in pink, white or purple, the desert willow, although leafless during the winter, produces beautiful flowers that attract hummingbirds. Another tree that attracts hummingbirds is the Mexican bird of paradise, a small tree with yellow flower spikes, which bloom from spring to fall. The brittlebush is a native desert plant that doesn't really need much care at all, but still produces an impressive array of daisy-like yellow flowers, which grow on long stems sprouting from the mound-shaped bush, from winter to spring. The red eremophila displays red tubular flowers from late winter to springs and is a favorite of hummingbirds. 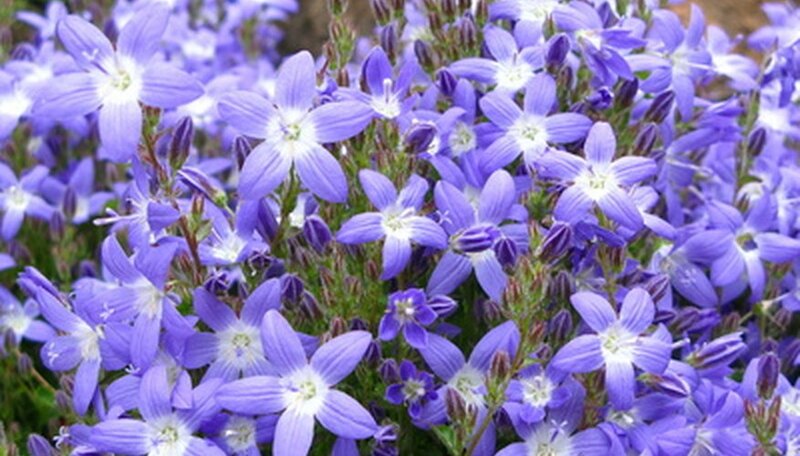 A summer blooming bush, kidneywood has white flower spikes and grows as a small tree, as well as a bush. The rose, which does not tolerated humid conditions does well in Arizona’s arid climate, yet may require protection from the summer sun in some areas. 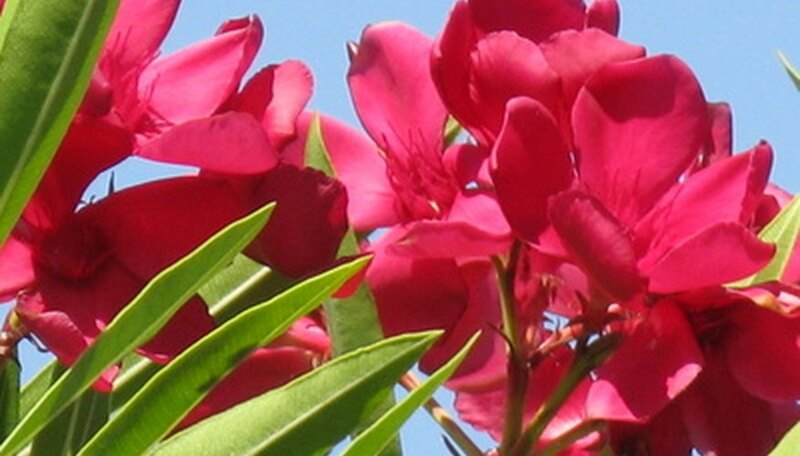 There are many colorful flower choices for the Arizona flowerbed or groundcover. The vinca or periwinkle is a hearty flowering ground cover, yet poisonous for pets. Another colorful flowering plant for Arizona is lantana, with its cluster-like blossoms. In Arizona’s frost-free regions, the lantana will produce flowers year-round. Some ice plant ground covers, like the gray ice plant's red- and yellow-centered flowers, grow in Arizona and do well in containers. Another ice plant choice is the red spike ice plant, which blooms from winter to spring and grows in clumps. Other flowering ground covers, all of which are drought-resistant, include the bush morning glory, damianita and trailing gazania.